wo TT landmarks will most likely be broken this June – the first 133mph lap and the first sub 17-minute lap – weather permitting. Most riders believe both will be surpassed, as long as they don’t have to deal with any curved balls. The only thing that’s certain is that the 133mph record will go first, because that particular barrier stands at 17 minutes and one second. 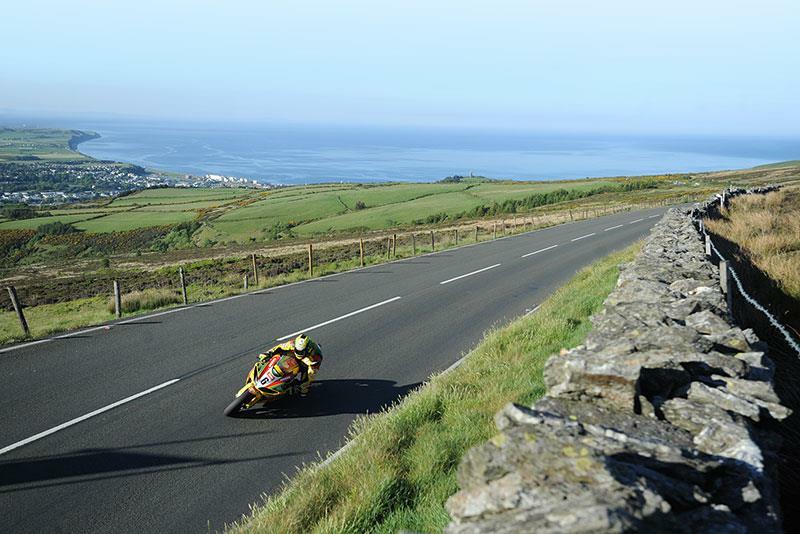 McGuinness is one of five riders – along with Ian Hutchinson, Michael Dunlop, Bruce Anstey and James Hillier – most likely to achieve the latest TT landmarks. He is the current lap record holder at 132.701mph, which took him around the 33.75-mile course in 17 minutes 3.567 seconds in last year’s Senior. 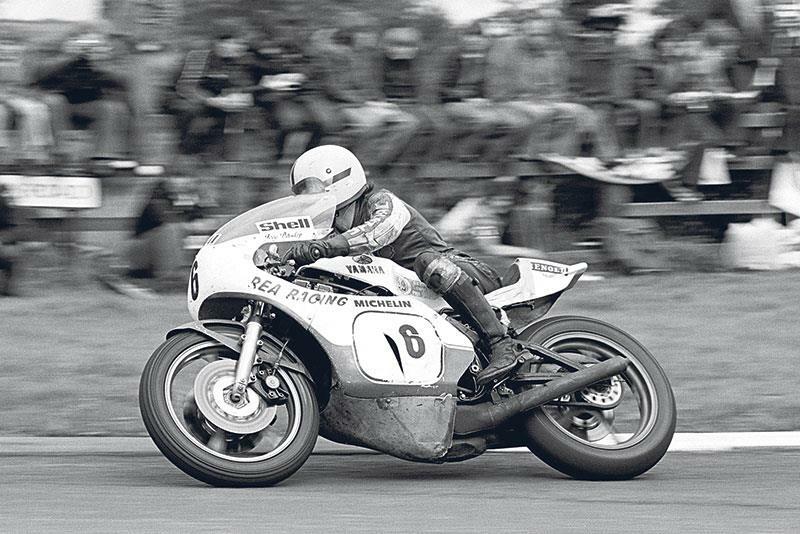 During that race the 23-time winner and Hillier became the first riders to average 130mph over race distance, while McGuinness was the first to do a 130mph lap including a pit stop. What about the circuit itself? Ten years ago McGuinness became the first man to break through the 130mph barrier, thanks to his stunning riding and to modifications to Brandish, the left-hander that follows the flat-out blast from Creg ny Baa, which transformed the medium-fast corner into a mega-fast sweeper. In other words, circuit modifications can make a major difference. This year riders will notice two improvements, both undertaken for normal traffic use, which may allow a small improvement in lap times. The Waterworks right-handers on the climb out of Ramsey have been reconstructed with a new surface and better camber that should make them slightly faster. More significantly, the high-speed 27th Milestone right-hander that leads onto the Mountain Mile has been completely reworked because the road had collapsed. The bumpy, poorly cambered surface has been replaced with perfectly smooth, cambered asphalt. Riders will be able to carry any extra speed gained through the 27th all the way to Mountain Box, though McGuinness isn’t convinced it will make much difference to lap times. Some sections will be as bad as they’ve always been, like the run from Ginger Hall to Ramsey, the bumpiest part of the course. That’s the weather and the track sorted, what about the riders and their bikes? Most of the machinery – McGuinness and Anstey’s Fireblades, Hutchy’s and Dunlop’s BMW S1000RRs and Hillier’s Kawasaki ZX-10R have all evolved, but McGuinness believes new tyres could make a difference. Which brings us to the final piece of the jigsaw puzzle: the riders themselves. They all have their own style and technique, and they’ve all spent the last 11-and-a-bit months thinking their way round the course, wondering where they can gain a few tenths. It’s not an easy task. The competition has never been stronger, with some TTs won by fractions of a second; a mind-boggling difference at the end of a 150 or 225-mile race in which most riders never even see each other. 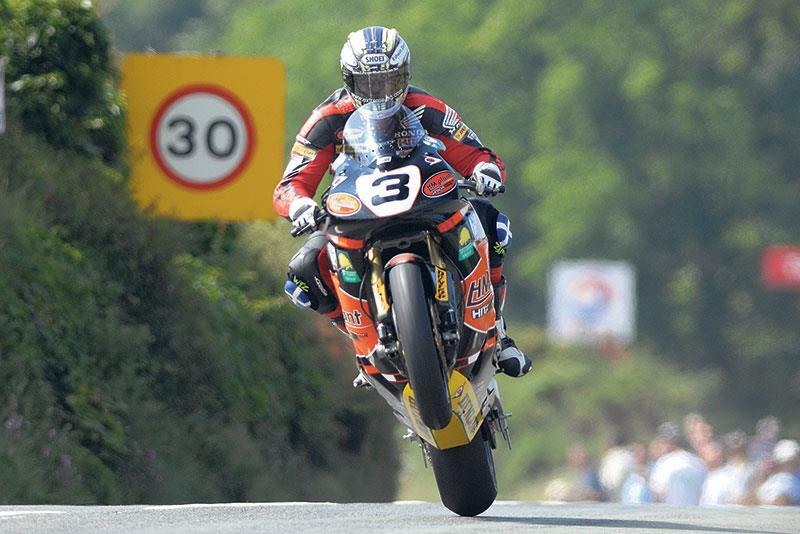 Not so long ago, the TT motto went like this: make your time in the fast stuff and don’t take risks in the slow stuff. Phillips was as amazed as anyone by the sight of McGuinness backing it into the Creg and other corners, like he was doing a World Superbike race. “That’s the biggest change in riding style we’ve seen,” says Phillips. “The races are close now because the bikes are so similar, so everyone has to push so hard, even in the slow places. We see big near-misses at Parliament Square and people running straight on at Ramsey Hairpin; that never used to happen to the top guys.